28 Teams have arrived in the remote town of Kanas for the pre race briefings of the first AR World Series development race in Asia. The Jia Deng Yu Castle Hotel in the far North Western Provence of Xinjiang is a hive of activity, much of it involving teams scrambling to find equipment lost in transit. Race Director Wei Jun briefed nervous and excited teams on a 300km course starting at Lake Kanas and finishing in Altay. Questions of whether each team member really needed a sleeping bag were quickly resolved when they emerged from the briefing to see the surrounding mountains covered in fresh dump of snow! The race begins at 0930 on 25 September with a 53km mountain trek reaching a high point of 2,200m. 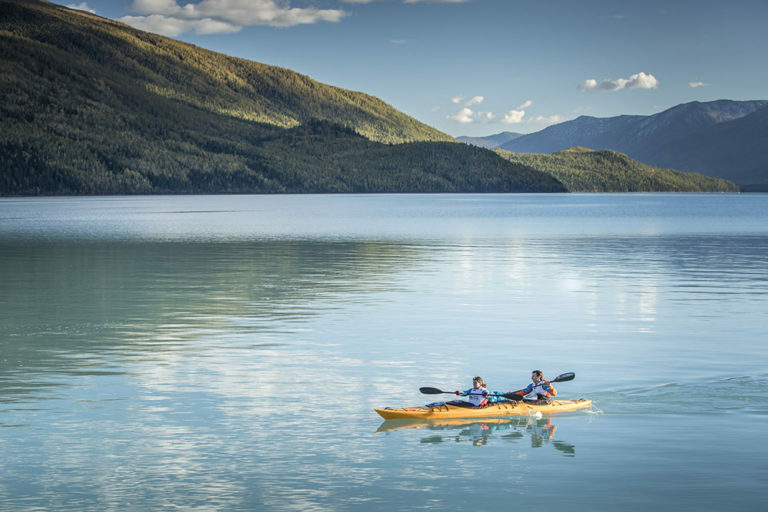 Teams should have some incredible views down to Lake Kanas where they will undertake a 34km paddle on the second leg of the race. This huge snow feed lake is one of the most protected natural tourist destinations in China and the event has received a special consent to explore the northern part of the lake. AR World Series Director Louise Foulkes explored the area with the race organising team in June and said “Teams are incredibly lucky to be permitted access to this area as it is reserved for the nomadic people of the region and not even Chinese tourists are allowed in, let alone foreigners”. 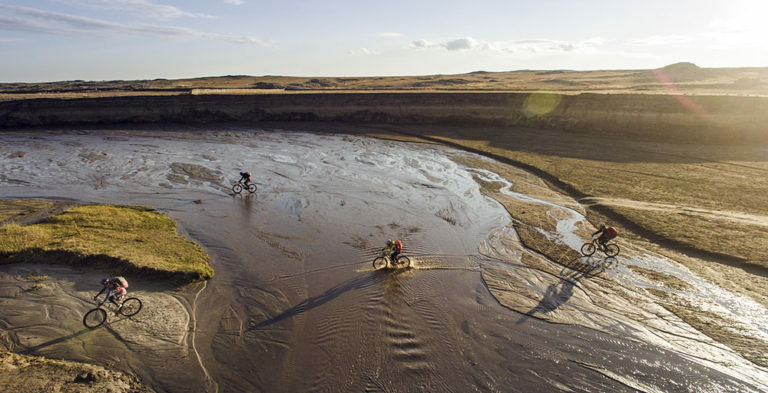 The course then heads South East towards the finish line in Altay by means of a 47km trek, 96km mountain bike, a ropes course, a 59 km mountain bike and a final 1km run to the finish. Wei Jun said in the briefing “this has been a dream of mine, to organise a non-stop race in China as part of the AR World Series. One of the many unique experiences of the race will be a 2 hour compulsory Cultural challenge Teams must make and cook a traditional noodle dish in a remote village of the region. The pre-race information warned teams to expect a cultural element in the Xtrail Expedition Race and rumours began to circulate it might be Yurt building or camel riding. Race Director Wei Jun revealed it would have a compulsory 2 hour stop to make traditional noodles from scratch in the small village of Hamu. The food was welcomed and most teams had the chance for some much needed sleep (inside a Yurt for most) before their compulsory stop concluded. While the lead teams quickly completed this challenge just before sunrise, the rest of the field arrived at the “noodle cp” throughout the day. One member from Chinese team Xin Jiang was walking tentatively at the end of the 47km Leg 3 trek but was determined to push on. The remainder of the race is mostly cycling and will give sore feet some relief. Towards the front of the field the race is still hot between three lead teams Haglofs Silva, Thule Adventure Team and Redbull. These three teams arrived to the ropes section together, completed a 40m abseil down a cliff and arrived at the next transition within one minute of each other. Adventure Medical Kits are recovering from an early navigation error and have moved up into 4th position one hour behind the lead pack. Canadian team Tecnu decided to withdraw from the race at CP21 and will be taken to the finish line. 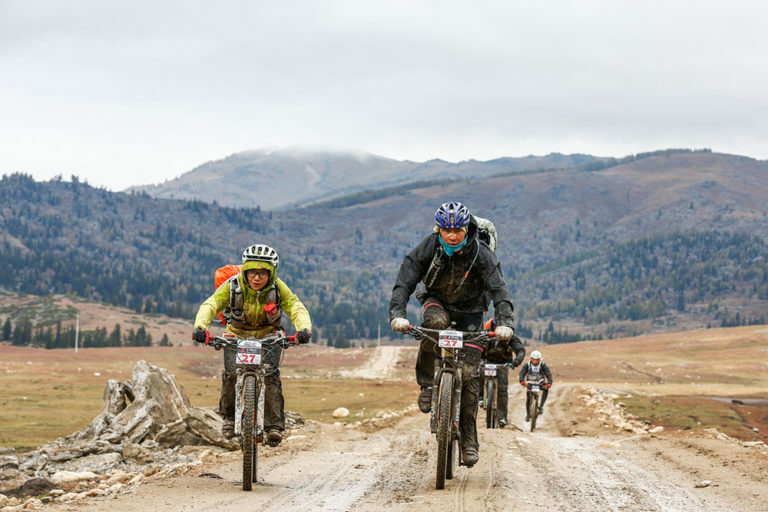 26 international and 2 Chinese teams came to the far North Western Provence of Xinjiang for an expedition race of a lifetime. It was the first AR World Series race in Asia and the fulfilment of Race Director Wei Jun’s lifelong dream of organising a non-stop expedition race in his country. Thule Adventure Team were the winners of the 300km course in an incredible 36 hours and 16 minutes. It was a nail biting fight to the end with Redbull leading the last leg then falling to a spectacular navigation mistake opening the way for the Haglofs Silva. They too made a heartbreaking navigational error just 30 minutes from the finish line. Thule Adventure Team powered past in the dark not sure of their position and it was only confirmed on the finish line by the officials after Sam Clark asked “Have we won?”. Adventure Medical Kits finished second just 14 minutes behind and Haglofs Silva 4 minutes after them. The Chinese home favourites teams Koosa and Xin Jiang were both undertaking their first non-stop expedition race. They became local Chinese celebrities as they travelled the course and were cheered throughout. Both teams finished within 30 minutes of each other and were greeted at the finish line at 1am by a huge and excited crowd. Qiaoping Li from team Koosa said “This is the most important moment in my 10 years as an athlete, to hold my national flag at the finish makes me so proud.” Her team mate Qiaoping Li was in tears standing under the finish banner. He said “It was difficult for me to navigate but my team stood behind my decisions and gave me the strength I needed”. The race took teams from the start line in the amazing picture perfect Lake Kanas through to the finish line in the regional capital of Altay. Jody Willet of team Suncity Travel said “I couldn’t have been to a more beautiful place in the world, and i have been to a lot!”. Her team mate David Slosh remarked at the end of leg 3 “It felt like we travelled through Switzerland, the French Alps and Canada all in one leg”. AR World Series Director Craig Bycroft declared “This Development race in China has been a resounding success and I welcome the XTrail Expedition as a full Qualifier in 2017”. The race organisers will again welcome international and national teams to the region next year for an expedition race not to be missed.